Pantone have announced that their colour of the year 2019 is the gorgeous Living Coral! 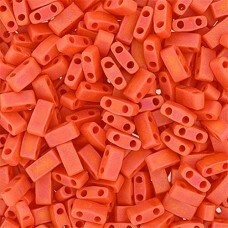 We've put together a collection of beads that represent this colour choice. "In reaction to the onslaught of digital technology and social media increasingly embedding into daily life, we are seeking authentic and immersive experiences that enable connection and intimacy. Sociable and spirited, the engaging nature of Pantone Living Coral welcomes and encourages lighthearted activity. Symbolising our innate need for optimism and joyful pursuits, Pantone Living Coral embodies our desire for playful expression. 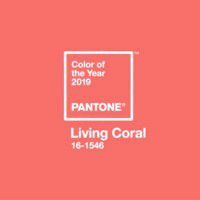 Representing the fusion of modern life, Pantone Living Coral is a nurturing colour that appears in our natural surroundings and at the same time, displays a lively presence within social media. " 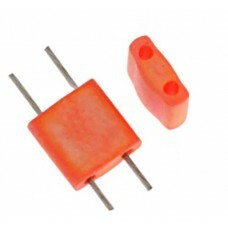 Coral looks great paired with other tones of pink and blush, or clashed against turquoise, mint and blue colours. 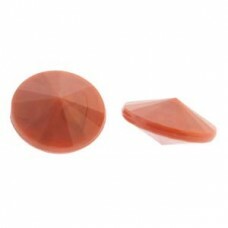 Coral Opaque AB Matte Miyuki Half Tila Beads, code 0406FRV, 5.2g approx. 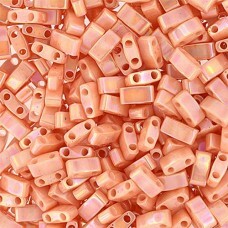 Peach Opaque AB Miyuki Half Tila Beads, code 0596V, 5.2g approx. Rose/Pink AB Lined-Dyed, Colour Code 0070, Size 11/0 Delicas, 5.2g approx.